The 2018 Auto Expo, the country's largest and biennial automobile show, will be different in more than one way from the earlier one, held in 2016. There will be new names and brands, such as Kia, Peugeot and MG (from Chinese company SAIC), all planning to enter the growing Indian car market. Lexus, luxury car brand of Japan's Toyota, is also likely. Volkswagen and General Motors (GM), earlier regulars, will not be seen this year. Some are seeking larger space. "We are expecting some super-car brands this time. 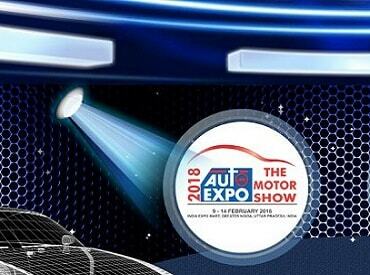 You will see changes in the list of participants," said Sugato Sen, deputy director-general at the Society of Indian Automobile Manufacturers (Siam), the organiser. The 2018 Expo, the 14th edition, will be at India Expo Mart, Greater Noida, on February 9-14, 2018. Korean car maker Kia recently announced investment of $1.1 billion in a manufacturing unit at Andhra Pradesh, slated to start production in the second half of 2019. "We are planning to participate in the 2018 Expo," said a spokesperson at its headquarters. French car maker Peugeot SA also lined up its India entry early this year when it announced a joint venture with Hindustan Motors to make cars in India. SAIC has said it will be acquiring the Gujarat plant of GM, to produce cars in India; it will be the first Chinese car maker to enter India, the fifth largest car market in the world. Lexus also recently announced its India plans. It will cater to the local market through import of completely built units. GM isn't participating as it has decided to stop selling cars in India. It is learnt that Maruti Suzuki and Renault have said they want more space than the 2016 edition. Renault, which has increased in market share since launch of the Kwid, is learnt to have more indicated a requirement of 3,000 sq metres; it had 1,200 sq metres in 2016. Maruti is understood to have sought over 4,000 sq metres, from 3,500 sq metres earlier. A little more than 100 vehicles were unveiled/launched at the 2016 Expo, which had 65 exhibiting companies and over 600,000 visitors. The focus this year, other than fossil fuel-run vehicles, will be on electric mobility. That includes two-wheelers, personal and commercial vehicles. The government has set an ambitious task of turning India into an only electric vehicle market by 2030.